Children’s sweets and confectionary have been renowned for having E numbers and artificial additives in their ingredients. But are sweet manufacturers listening to parents concerns about the ingredients in sweets and is anything being done to make sweet recipes more natural? 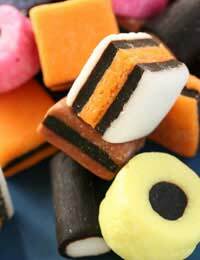 One of the first things you notice about children’s sweets is the bright variety of colours they come in. Sadly many of these colours won’t have been derived from natural sources and will contain some degree of E numbers and artificial additives. It’s a hard call for parents as children invariably want to enjoy sweets and chocolate as a treat, but as a parent it’s natural to be concerned about what they eat. In the last few years there’s been a lot more concern about the use of E numbers and colourings in foods and drinks and especially the effect they may have on children. One groundbreaking study, for example, did find definite links between certain suspect E numbers and instances of children’s hyperactivity. If you’ve ever searched for children’s sweets that are completely free of E numbers and additives you’ll know how hard it is to find any, bar avoiding sweets altogether. Some alternatives can often be found on the shelves in health food stores, although children inevitably want what their friends are having and healthy alternatives don’t always go down well! Thanks to a recent campaign, ‘Ban the Additives’ run by the Daily Mail newspaper, many sweet and food companies are realising that consumers are concerned about nutritional and health issues. Children’s sweet manufacturing firm, Swizzels Matlow, has now pledged to cut out all artificial colourings from its products by the end of 2008. This means that the sweets enjoyed by current and past generations, such as Love Hearts, Drumstick Lollies, New Refreshers and Parma Violets, will all be containing more natural ingredients. Although all the ingredients they were using were fully approved by the European Union and British Government, British manufacturer, Swizzels Matlow, are now recognising and listening to the importance parents and consumers are putting on health and nutrition. The German sweet company, Haribo, which produces popular sweets such as Starmix, has also said that it’s taking action to remove dodgy artificial colourings from its sweet recipes. By the end of the year there should no longer be artificial colourings in its bags of jelly and gum sweets. As interest in banning colours and dyes from sweets and other food products has increased, some of the main UK supermarkets have followed too, which is great news for concerned parents. Sainsbury’s, Tesco, the Co-Op, Asda and Marks and Spencers have all pledged to ban dyes and colours from their products, such as sweets, confectionary, cookies, biscuits and cakes. Other companies that use suspect dyes in their foods and drinks are being encouraged to think about their ingredients and recipes too. But as yet the Food Standards Agency in the UK haven’t banned the use completely. Instead, they’re letting manufacturers decide how they want to proceed themselves. The very nature of sweets with their sugary content will never make them a healthy or nutritious food. But with better ingredients, fewer E numbers and less harmful artificial colourings, children’s enjoyment of sweet treats can continue without unwanted health effects. This is helpful if your vegitarian! !